There have been few things more startling in recent weeks than the prospect of a political union between the party of indigenous supremacists in Fiji and the only Indo-Fijian ever to become the country’s prime minister. That union would see Laisenia Qarase’s SDL Party in some form of association with Mahendra Chaudhry’s Labour Party to try to thwart any plan by Frank Bainimarama to morph from dictator into democratically-elected prime minister at the promised elections in 2014. Both men have spoken publicly about working together to find common ground to contest the elections. And while they haven’t yet defined the precise nature of any alliance, it’s clear from those comments that the proposal is being seriously considered. It was the wily Chaudhry who got the ball rolling, saying that despite their deep differences in the past, he saw nothing strange in Labour uniting with a rival political party to “salvage the country from a despotic government”. Qarase stunned everyone by describing it as ” a very good idea”. “I think it is important that we find some common grounds and fight the next election on those common grounds”, he said. Quite where any discussion between the two has got isn’t clear. Yet even by the byzantine standards of Fiji politics, the prospect of these two old warhorses in passionate embrace is an extraordinary one. It represents a triumph of the age-old truism that ” my enemy’s enemy is my friend”. Their mutual hatred of Frank Bainimarama evidently far eclipses their own dislike and distrust for each other. But why would the country turn to these two again? There’s evidence aplenty that both Chaudhry and Qarase treated the electorate with disdain during their respective periods in government. Both of them certainly overplayed their hands. For all his undoubted political strengths, Chaudhry as prime minister was dogged by perceptions of arrogance. Certainly, any sensible Indo-Fijian assuming the country’s leadership for the first time would have made managing indigenous sensibilities their first priority. 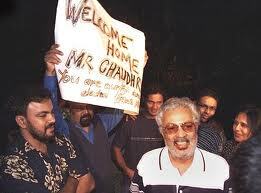 But, alas, Chaudhry did nothing of the sort and arguably sowed many of the seeds of his own destruction in the disastrous George Speight coup of 2000. For his part, Laisenia Qarase – having gained power in the wake of that coup – overplayed his hand by trying to free Speight and his gang and by pushing through legislation to promote the indigenous cause against the wishes of the man who’d installed him as prime minister – Frank Bainimarama. For months, the military commander demanded that Qarase back off. He didn’t and guaranteed his own downfall in the subsequent coup of 2006. The notion that Qarase and Chaudhry can now work together is both mad – as in deranged – and MAD – as in ensuring Mutually Assured Destruction. Does anyone else in Fiji seriously think that these two failed leaders can forge their vastly opposing political forces into some kind of tilt at government in 2014? One – Qarase – stands for the paramountcy of one race, the i’taukei, over all others and actively worked in government to disadvantage other races through the Qoliqoli or coastal resources bill and the proposed changes to land title. The other – Chaudhry – heads an ostensibly multiracial party in Labour but with a high Indo-Fijian component who still see themselves as having been the targets of Qarase’s program. The idea of any form of union not only reeks of an ill-considered marriage of convenience for short-term political gain but makes no practical sense whatsoever. How on earth could the SDL’s hardline indigenous supremacists work with the Indo-Fijians they habitually describe as vulagi– visitors to Fiji – rather than equal citizens? How on earth could members of the Labour Party – and especially Indo-Fijians – work with those they regard as the architects of their demise in 2000 and their political disadvantage since? For Chaudhry and Qarase, Mutually Assured Destruction would surely come at the polls as their traditional supporters find the whole crazy notion simply too hard to stomach. All of which suggests that Frank Bainimarama must be rubbing his hands with glee at the prospect of an alliance of his political enemies. He knows they won’t be able to share the same bed for long and already has strong evidence from the Lowy Institute opinion poll that he would romp home at the head of a multiracial party and become elected prime minister in his own right. Of course, nothing is guaranteed. As they say, a week is a long time in politics so the two years and four months to September 2014 is an eternity. But will these “blasts from the past” even be contesting the next election? Laisenia Qarase is currently facing corruption charges that carry a jail sentence and – if convicted – a ban from standing for public office. And there’s serious doubt that the SDL will ever be able to meet the regime’s stipulation that only multiracial parties can contest the 2014 poll. For his part, Chaudhry will also have to explain to voters why substantial sums of money from Indian donors ended up in his personal bank accounts. In the meantime, both Qarase and Chaudhry have regained their political voice – thanks to the lifting of censorship – and are actively positioning themselves for whatever happens after the Constitutional Commission completes its work. Here’s a link to a piece by the New Zealand academic commentator, Crosbie Walsh, who describes them as the “Tweedledumb and Tweedledee” of Fiji politics. Their idea to join forces is just plain dumb. I wish to take issue with Mr Graham Davis on his M.A.D opinion published in the Fiji Sun on May 28th 2012 not because Mr Qarase or Mr Chaudhry need my help to defend their positions, they are both capable of doing that themselves, but being involved in discussions with the two leaders , I feel Mr Davis and the Fiji Sun are not playing fair and should be taken to task for flouting the provisions of the Media Industry Development Decree with a certain level of impunity with statements and opinions that favor the Regime, rather than promoting an impartial, balanced and fair report. ‘The decree states that media organizations shall show fairness at all times and impartiality and balance in any item or programme, series of items or programmes or in broadly related articles or programmes when presenting news which deals with political matters, current affairs and controversial question’s. Can Mr Davis and the Fiji Sun tell us if they honestly believe their article showed fairness, balance and impartiality? It is difficult for me to reconcile how a Fiji born son of a past Methodist Church President, who is an international award winning journalist, with awards that were achieved from exposing the ‘wrong’ in many situations like the case of ‘child abuse in a religious organization’ or the story of ‘killer hospitals’ and his work on ‘the state of world shipping’, can feel morally justified to use his skill in the country of his birth to promote a repressive dictatorship while totally ignoring the plight of the people of the land of his birth? In his M.A.D opinion, Graham Davis seems to have difficulty with the fact that two leaders with fundamental disagreements on key issues under a ‘fully democratic’ environment might be motivated under a repressive ‘dictatorship’ to decide that these issues while still important, need to become secondary to the new task of re-establishing ‘democracy in Fiji and that having recognized this, they agree that co-operation & not confrontation with each other is the way to re-establish our democracy. The issues they differ on are still important and will still have to be resolved, but the greater need at this time for all our people is to return Fiji to representative government and the reestablishment of our full human rights as soon as possible. Mr Davis says and I quote ‘the prospect of these two war horses in passionate embrace is extraordinary?’ the truth of the matter is that a ‘passionate embrace’ hardly describes the current mood of the discussions between the two leaders just as ‘extraordinary’ is not how we see the undertaking by the party leaders to put aside differences and work together. We all see it as a practical and just course of action given the current circumstances we find ourselves in today. As to the performances or short comings of any political leader, these are matters that each leader, current or aspiring must account for to their respective parties and ultimately to the people and it will be the people who will hand down their final verdict via the ballot box. What I do find ‘extraordinary’ however is that an international award winning journalist like Mr Davis should consider ‘deranged’ and M.A.D [Mutually Assured Destruction], the willingness of one time adversaries in a democratic environment, to work together to remove a repressive dictatorship that exists today? Surely Mr Davis is aware of events in the UK [where he once worked for the BBC], that saw for the first time in its history a coalition between the Conservatives and the Lib Dems a ‘prospect unimaginable’ by political commentators, yet its working and the UK have had a relatively stable and successful government up to this point and at this critical time of the global financial meltdown? In Australia where Mr Davis lives, the Labor Party has a coalition with the Greens and with Independents which was established at a very high price to the Labor Party’s policies? And while many are not necessarily happy about the union, it does provide stability for Australia at least until the next elections? Mr Davis says and I quote ‘ working together reeks of an ill considered marriage of convenience for short term political gain and makes no practical sense what so ever’ unquote yet in almost any conflict anywhere in the world, all parties to a conflict, eventually sit and talk and give in order to receive and they have to work through the issues at the centre of their conflict and find the things that unite them and move forward to create the enabling environment in which to rebuild all that they have lost through the self serving senselessly of a few. From my perspective it is Mr Davis who is M.A.D [Manipulatively –Anti- Democratic] because, instead of supporting the positive outcomes that ‘co-operation’ by once conflicting parties can make to an overall resolution to conflict, Mr Davis appears to be more upset with the prospect that a union between Qarase and Chaudhry will ‘thwart’ his hero’s plans to become a ‘legitimate’ Prime Minister. But if as Mr Davis puts it, the outcome of the Lowy Institute poll will mean Frank ‘romping in’ at the head of a multiracial party at the next election. Then perhaps Mr Davis might like to give us the benefit of his local expertise and explain one or two things. Such as why for instance is the Regime with all its claimed popularity and certainty of victory in 2014 still so afraid to put down their weapons and rule by merit not military might? Why will they not remove all of the remaining restrictive decrees that prohibit freedom of expression and assembly and allow the people to speak freely and tell the truth about how they really feel? and why are they so afraid to step into the ‘arena of public opinion’ and take us old ‘blasts from the past’ head on in national debates around the country on all the issues so the ‘people can decide’ and we ‘let the chips fall where they may? I challenge them to debate with us now. FURTHER READING June 1st: The SDL held its first formal conference since the 2006 coup in Suva yesterday. To follow is the text of a speech given by Laisenia Qarase in which he denies suggestions of a coalition with Labour but confirms the SDL is seeking “common ground” with Labour and other parties on the proposed constitution. Members of the SDL Party, supporters of the Party, Ladies and Gentlemen. Ni sa bula vinaka! It is good to be talking to you directly again! I wish to endorse the warm welcome extended by our President, Mr. Solomone Naivalu. Thank you very much for taking the time to be with us and I look forward to your participation in the discussion that will follow. Let me issue a special greeting to the young people who have joined us,especially those who will be exercising their voting right for the first time in the next election. Use that right well. It is something precious. Inform yourselves about the issues that are important to you and Fiji. I also extend the greetings of the SDL party to our supporters throughout the nation. To all of you here and elsewhere I say be of good courage; be strong in heart. Do not be afraid to speak the truth. Mr Naivalu has briefly outlined the activities of our party since the illegal overthrow of our Government on December 5th 2006. He has also described some of the problems and obstacles we have faced for more than five years. It has indeed been a most difficult period for our party and our country, particularly with the imposition of severe restrictions on our rights and freedoms. But let us thank God for seeing us through. Let us thank Him for granting us quiet strength from adversity. This meeting is part of the Constitutional Consultation Process that our party is preparing to undertake during the next few weeks. My role today is to outline the Government’s roadmap for the formulation of a new Constitution. I propose to draw your attention to some serious misgivings by our Party Executives relating to that process. I will then outline what our Party Executives believe should be the party’s position. 1. Government will collate and print material highlighting issues for the people of Fiji to think about before they make their voices heard. All materials will be distributed widely. This task should have been completed during March-April. 2. A civic education program is to begin in May and continue to the end of July. This will presumably be consistent with the material distributed. 3. After the civic education program consultations will take place between a Constitutional Commission and the people of Fiji. These will be held from July 2nd to September 30th. 4. Members of the Constitutional Commission have been appointed. They are: Prof. Yash Ghai – Chair, Dr. Christina Murray, Ms. Taufa Vakatale, Prof. Satendra Nandan and Ms Peni Moore. 5. From October to end of December this year, the Constitutional Commission will collate the public submissions and then prepare a draft Constitution. 6. A Constituent Assembly will be appointed by December. It will consist of representative civil society groups and organisations that are registered in Fiji, including faith-based organisations, national institutions, political parties, and Government. It is expected that the Constituent Assembly will debate the draft constitution and approve it with amendments if and where necessary. This activity is to take place from January to end February 2013. 7. The Constitution will be assented to by His Excellency the President following approval by the Constituent Assembly. Our Party has identified a number of flaws in this process and expresses its concern about them. If we did not do this, we would be failing in our duty to the nation and to you. In our view, a Political Dialogue Forum (PDF) should have been established representing key groups in our society. The forum would have been the ideal vehicle for discussions and consultations before decisions on important issues were made. Instead, Government has simply gone ahead with its own ideas, without the benefit of advice and views from the rest of the community. This would have been a more inclusive and democratic way of proceeding. It would also have been in line with the commitments the Government has made to the people and the international community. The principles and values fundamental to the formulation of a Constitution, have been proclaimed by the Prime Minister. These are to be “non-negotiable”. This is not the language of inclusivity. Even though the ideals he announced are generally universal an opportunity was missed to obtain, and declare, agreement by consensus. The civic education program to be completed prior to public submissions to the Constitutional Commission will use material prepared and printed by Government. As far as we know, there is to be no participation by representatives of the public in preparing these materials. Obvious questions arise about content and message and possible bias. The appointment of members of the Constitutional Commission is also of great concern. In particular, the three local appointees are known to be very supportive of the military Government. How independent then will the Commission be? Proper consultation on this issue within a Political Dialogue Forum could have arrived at a consensus and removed a point of contention. We will have more to say on this at a later date. The appointment of a Constituent Assembly is an important milestone in the process. Although the Government has assured that the Assembly will be representative of society, the method of selection and the appointees will be crucial. Who is to decide on membership? If the Assembly has a disproportionate number of supporters of the military Government, then it will be compromised, and so will its decisions. There is obviously a danger here of a foregone conclusion, favourable to the Government. The approved Constitution will then be assented to by the President. We see certain questions arising on this point as well. The SDL contends that the Constitution should be referred to a national referendum if there is no Parliament. A free and fair act of choice would be a democratic and credible means of gauging popular support, or otherwise, for the proposed supreme law. Ladies and gentlemen, the matters I have mentioned are serious. They should be raised and they should be addressed. However, we want to be as positive as we can about this critical Government constitutional initiative. Let us then show good faith; let us assume that some of the questions that trouble us will be given due consideration and win approval. It is for these reasons that we are recommending the SDL Party prepares a submission for presentation to the Constitutional Commission during the public consultations. I now outline for you the basis of our position. Since the last military coup the SDL has maintained that the 1997 Constitution remains in existence and is still Fiji’s supreme law. We are supported in this view by a 2001 judgment by Justice Anthony Gates in the case Koroi vs Commissioner of Inland Revenue. Justice Gates said, and I quote: “It is not possible for any man to tear up the Constitution. He has no authority to do so. The Constitution remains in place until amended by Parliament, a body of elected members who collectively represent all of the voters and inhabitants of Fiji. The fundamental law represented in a constitutional document may only be changed in accordance with that Constitution”. In the case L. Qarase & others vs J. V Bainimarama & others, the Court of Appeal ruled on 9th April 2009 that the 1997 Constitution is still in place. According to many other legal experts here in Fiji, and abroad, the purported abrogation of that Constitution on April 10th 2009 by the military Government cannot be valid. We note as well that when the Military Government came to power it asserted very clearly that its number one priority was to continue to uphold the 1997 Constitution. That means it saw merit in the document and gave allegiance to it as the highest law of the land. 1. Uphold the 1997 Constitution and re-convene the last elected Parliament. 2. Follow the roadmap suggested by the Court of Appeal on April 9th 2009. 3. Re-convened Parliament to make appropriate amendments to the 1997 Constitution, including changes to the electoral system. 4. Hold general election under the revised 1997 Constitution. We propose to include in our submission some proposed changes to the 1997 Constitution. We are seeking common ground on this in consultations with the Leaders of the Fiji Labour Party, the National Federation Party and the United People’s Party. Contrary to what has been reported in some media outlets the subject of our talks is not about forming a coalition. At this stage our objective is to work together on our submission to the Constitutional Commission. The four parties have agreed on a fundamental point of unity. We stand by the 1997 Constitution. We believe that parliamentary democracy should be restored under that Constitution. There are sound legal grounds for this. We also jointly share the view that some amendments to the 1997 Constitution are necessary and must be made by following proper process. Ladies and gentlemen, the SDL party was founded on a vision of peace. That vision is expressed through our party symbol – the dove carrying the olive branch. Sadly that dove has been confined and caged. Now, the ruve is ready to spread its wings and soar again. It will carry with it an enduring message of truth, justice, equality and freedom. It will carry new hope for Fiji; a Fiji constructed on stronger foundations that will help create prosperity and harmony for us all in the homeland. The SDL believes in patient dialogue, good faith negotiation and consensus-building. It is these principles that will resolve the considerable challenges that now face Fiji. We declare again that we abhor violence, force, threats and intimidation. There is no room for coups in our vision for Fiji. It has been proved time and again that they bring nothing but misery, torment, fear and ruin. We must go forward from here, side by side, for our country and the future happiness and prosperity of all our peoples. Graham, you’ve argued eloquently and passionately in the past about the need for Fiji to divest itself of racism in a history that has been scarred by it. Where we differ is that you feel the end justifies the means whereas I believe that the journey towards that laudable goal is just as important as the goal itself, insofar as I feel that justice cannot result from injustice. Regardless of your personal opinion of the ability of either gentleman to lead Fiji, the SDL/ Labour multiparty government that existed in 2006 was precisely the amalgamation of that which you now feel cannot be joined. In this regard your latest article smacks of the gravest hypocrisy when you write in the same manner that you have decried in past politicians – by providing a commentary that is full of racial references as a tactic to promote your particular point of view, which is evidently the eradication of Messrs Qarase and Chaudhry, and even the SDL and Labour parties they head, as political forces. The trials that we in Fiji have been subject to over the past 6 years have supposedly been in promotion of the goal of a racism-free Fiji. Therefore it would behoove you to comment in a less racially divisive way in future when trying to make your points. Jon, I don’t regard the Labour/SDL partnership of 2006 as having any credibility at all. If there was clear evidence that Labour had been able to restrain the excesses of the SDL, then you might have some argument. But there is none. The SDL were proceeding with plans for the Reconciliation and Unity Bill and the Qoliqoli Bill – two pieces of legislation that were grossly offensive to a large proportion of Fiji’s population. Please don’t insult my intelligence by pretending that either Qarase or Chaudhry aren’t essentially race-based politicians. Chaudhry may be less guilty of this than Qarase but has always had close links with India to the extent of taking money from Indian politicians and being in India at important junctures of Fiji’s history. So I don’t think there’s any doubt that he identifies with India in a way that someone with a multiracial outlook may not. 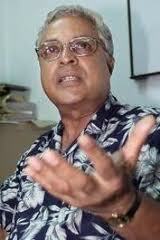 It is historical fact that Indo-Fijians bore the brunt of the coups in 1987 and 2000. So to gloss over this as you have and to accuse me of making race an issue is risible. 2006 drew a line under this and we are to finally remove the racist electoral bogey in Fiji by banning any politician from ever appealing to racial sentiment again. That’s the progress you don’t seem to understand or appreciate but that I trumpet as genuine reform. Who produced it? Not Mahendra Chaudhry or Laisenia Qarase but Frank Bainimarama and Aiyaz Sayed Khaiyum. That too is historical fact, not some inherent bias in their favour on my part. All the forces ( Political Parties, Unions, Churchs, Chiefs, Army ) have a common enemy. Make no mistake, after these players are gone, it will all be back to square one. Let’s call it the way it was, qarase brainwashed the chiefs by saying Indians will take your land and MC loved that because he played as the only person who can save the Indian community. it worked perfect for both politicians, overall in the next decade or so all the matured politicians will vanish and the new generation Fijians will emerge, better educated and understanding of globalisation will work together for the betterment of Fiji. Thanks, Vinny, that’s a great insight. Appreciate your evident understanding about the need to edit your previous posting to avoid being in contempt of current court proceedings. What we find in the midst of these is that Fiji is very much a nation at war within itself.We have been searching for what was right,then it got wronged and now we are trying to get it righted again.I would say that this has been happening from beyond independence and according to a former senior military officer their analysis goes back to the days of tribal rivalry and he quoted the ” Vere VakaBau “,the invasion and conquering of Naigani Island was an example.But Graham rather than commenting from the sidelines I suggest you go back and live in Fiji for a period of 6 to 12 months to see for yourself the reality on the ground.The question I ask is if all these electoral reforms,new constitutions,new legislations etc will it filter down to everyday living and that racism in the Fijian context will just vanish into thin air? For so long, i taukei and Indigenous Fijians have been blamed for destabilising this racial equilibrium.What about the wordings in tenancy advertisments in the respected Fiji Times saying Landlords want ” Indians only “? What about recruitments by giant multinational companies and big Indian corporate family owned companies all favouring Indo Fijians? What about the atttitude by Indo Fijians that since they have been dominating the commercial sector in Fiji and ONLY THEY have the right to be dominating the share of markets and everything?What about the attitude of the WHITE dominated tourism industry where white owners perceive i taukei people as only good enough to work as meke performers,lovo makers,boat drivers,guest greeters,guitar and ukulele players and always play to the tune of the white man/owner/manager? Very few i taukei people make it to supervisory or managerial level in the tourism industry and in other multinational companies.I speak with a lot of authority on this Graham as I spent some time working for Carpenters Fiji Ltd and one also as a former business owner in Fiji. Will new legislations force interracial marriages in Fiji something that is far and few?Will it allow Indo Fijians to change the way they perceive and be more sensitive and have a willingness to learn more about i taukei culture,village life etc etc ?When I was at form 5 my english teacher Miss Chand got a shock when one of the girls in my class wrote about how their kitchen was swept away in the floods.She did not know that in the village most family homes had their kitchen built a distance away.I have a lot more to ask Graham but in your writings whilst I respect them and you do enlighten me particularly with words from your rich English bank it appears that you have never been to bed with either an Indo Fijian or a i taukei. Wilson, I’m still blushing at your final comment but you are perfectly correct to say that no-one has a monopoly on righteousness on racism or racial stereotyping in the Fiji context. We’ve all been guilty of it at times in our own lives if we’re really honest with ourselves. It may not even be distaste for another race but a throwaway line like “well we all know Fijians are lazy” or “Indians are only interested in money” or whatever. In other words, falling victim to racial stereotyping in a way that is unfair to our fellow citizens, whoever they may be. I think that we all need to try anew to break away from this, to see individuals not in terms of their racial backgrounds but as individuals with strengths and foibles that are common to the human condition, not particular racial groups. We all take our cues from our families, our schools and, yes, our governments when it comes to this. And so I’d argue that the message that comes from the top in Fiji is vital in setting standards for the rest of us. Which is why many of us appreciate that for the first time in a long time, that message is one of equality, inclusiveness and the principle of everyone – irrespective of race – working together as one nation. It will take time – maybe even a long time – for the notion of multiracialism and multiculturalism to firmly take root. But I think there are clear signs of these ideals being reignited in the younger generation in a way we haven’t seen in Fiji since the immediate post independence years. There is strength in our diversity if we can respect and celebrate that. And however cheesy that might sound, I believe it needs to be the tone and focus of every aspect of national policy from now on. Fiji’s original inhabitants – the i’taukei – have a rich history and culture and thoroughly deserve a special place in national life as the First Fijians. We all need to acknowledge that and I hope this is something that can be written into the new constitution as a means of celebrating that and assuring them that their position in the country isn’t threatened, as some of their leaders have suggested. Yet equally, every other Fiji citizen deserves an absolute guarantee that their position in a new Fiji is assured and that there is a future for them and their children. Equal rights and votes of equal value are essential. With goodwill, all this can be achieved. As Ratu Mara said at independence 42 years ago, “The things that unite us are stronger than the things on which we differ”. This is a truism that resonates across the years and ought to be the leitmotif of a renewed effort to forge a new national identity with a new constitution that reflects the aspirations of all. Because the multiracial way is the only way that Fiji can fulfil its promise as a nation worthy of respect – a nation fit for the heroes that are all around us. We all know who they are because they often live right next door to us, ordinary people who are decent and caring and for whom the colour of the skin of their neighbours means nothing. We need to listen to them – the great mass of hardworking, tolerant Fijians who dream of a better life – than those who would seek to divide the nation to further their own political ambitions. It is very obvious from recent ramblings, rumblings, bitching and moaning of ex Politicians, three parties, that they have not learned a thing in the last 6 years. They are totally oblivious to anything good that anyone wants and needs, and the turmoil caused during their reign,and only have their own sick thoughts in mind. The minute they are told they can stand for election, they waffle on with a whole lot of mindless ectoplasmic rubbish. Why would anyone in their right mind want this sort of garbage again, it’s like a living nightmare just listening to them. They do not even know if they are eligible to stand yet, until the completion of the new Constitution. They do not get to complain, or ramble and rumble on, until it is time to campaign. Give me a break, and at least try to be intelligent, if you expect anyone to vote for you. Oh, and guys, a newsflash for you, of course the Government is in charge of the electoral system – they are the Government!! Therein lies my final comment again Graham. Without any rhetoric,we have been hearing about these multiculturalism and multiracialism ever since the roosters came home to roost and we will forever keep hearing them until what good old chicken licken said “‘ the skies fall down. “.The sad reality is that it has been there all along.So many i taukei people have embraced these and they are the good many who voted for a change in 1987,1994 ( which saw Kamikamica’s FAP party won a few seats ),1999 ( which kicked Rabuka out ) and 2006.Lets just acknowledge that perhaps what we are searching for and may be thats what you and others keep lecturing about is multiculturalism and multiracialism as defined by politicians whatever their political alignment may be.I will never ever forget the words of my ” marama naita ” the late Amelia Rokotuivuna who said that the best way forward for us politically is NOT to have an imbalance like has been the case for Rabuka’s SVT,Chaudhary’s labour and lately Qarase’s SDL but to have equal numbers and balance especially on the government side of the house. I come to the defence of my i taukei people in the sense that this notion that we are lazy and so forth really is nonsense.For all you claim to know about i taukei and our culture can’t you just admit that we have different values?And that we need to be accomodating etc etc.Graham you should be the first to acknowledge how accomodating the i taukei race have been.And for that we thank the power of the almighty.And still in that context we keep on accomodating new denominations entering our shores. The Chinese went to almost every village set up stores,bakeries,initiated trade with copra and everything,they even married local women and produced siblings who are now some of the finest Fiji citizens.The same with the Europeans and other Pacific Islanders but can you say the same for our fellow Indo Fijians? And for those i taukei in the cane belt.Have a look at the famous or infamous ” Master Award “.At its maximum FSC and government reaps in nothing less than $200million per season in sugar proceeds.The award states that from those proceeds 70% must go to the growers and 30% go to the millers.the most important party in the equation,the landowners were forgotten until it was time for lease renewal.The poor i taukei landowners were being forced all along to be content with the meagre $300 to $500 per annum lease money payable under ALTA.Remember that this lease money was never based on acreage or farm size and worse this tiny sum were to be shared amongst the many mataqali members some of whom number to the hundreds !! And worse still the terrible negative effects of things like fertiliser,soil erosion and forth on soil we all know too well.So one can see that not even 1% of the sugar proceeds end up with the landowners!! At the end of it all do you blame the poor i taukei landowners for taking control of their destiny,take back their land,apply for a rezoning and convert them into residential lease so they get a better return?.This is worldwide practice and is it racial? I mentored a couple of i taukei students from USP some years ago.One of them said that Indian students do not want to share.i said thats been the same story since I went to USP last century !! If a group of i taukei and Indo Fijians are on a beach or on the Rewa Bridge and they see an Indo Fijian drowning,guess who is going to swim or jump to save the one drowning.It is the i taukei.Thats our instinct.So how much more accomodating we need to be? The bottom line is in our search for things to be righted again, Graham,Vinny and every right thinking Fijians at heart,we contact our relatives,friends,associates,provinces,tikina,political party if you are aligned to one, etc in Fiji and outline what we believe should be in the new constitution.The rest is up to the powers that be. Graham Davies is a patriot who has played a critical role in providing some balance regrading the 2006 coup discourse, which was seriously misrepresented by the western international media with their simplistic, one-dimensional view about media freedom and democracy. Graham is absolutely right in saying that both Qarase and Chaudhry were self-serving leaders who used their people for their own political and pecuniary benefits. So did Fiji’s other leaders, unfortunately . I was against the coups, especially when Qarase was coming around and being more inclusive and giving Labour Party its due in Cabinet, even if he did it after being threatened by the military. Both Indians and Fijians were very receptive to a unity govt. But Chaudhry wanted too keep his cake and eat it also. He made a huge blunder in staying in the opposition and sending his MP’s to join govt. He continued the farce by trying to discredit the unity govt of which his own party was part of. Typical self-serving, greedy, grabbing mahen behaviour. Then Mahen outdid himself by supporting the Bainimarama coup. 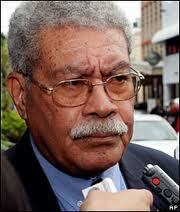 I regard mahen as the most destructive politician in Fiji’s history. He should have looked at the long-term and he should have been consistent by opposing the Bainimarama coup, especially with a SDL-Labour unity govt in place. Opposing the coup would have been good for Fiji’s future, including race relations in the country. What a lost opportunity. A typically selfish Chaudhry thought of his own interest and supported the coup. Qarase, is no better than mahen. He helped mahen in this decision to support the coup by needlessly persecuting Indo-Fijians. I wish the coup had not happend, but it happened and we have to be realistic and deal with it in a proper manner. In some ways Bainimarama’s hand was forced. a smooth transition and a new beginning based on lessons learnt from the 2006 coup. Qarase and Chaudhry have been the worst leaders in Fiji history. They actually make you miss the Rabuka years. In fact, Rabuka is far more genuine than these two clowns. But, at this juncture, I believe Qarase and Chaudhry are the best we have to see us through the transition. reality is that these two will enjoy broad support if they do the right thing, just as when during unity govt period, when there was an air of optimism in Fiji. Unfortunately, right now, all we have is mahen and lai. If these men use their talents for Fiji and Fijians of all ilk, then we have a chance. They do not deserve a second chance. But in this case we have to put Fiji first – the end justifies the means scenario, when we have consider these two tarnished leaders. As an Indo-Fijian, I support Wilson’s statements about Indos too having to change their attitudes, and the need get more indigenous people into business. This is a prerequisite to long term stability. Indigenous Fijians should be first among equals for sure, but this does not have to equate to pushing Indo-Fijians out to sea, which is what Qarase and the likes of Mere Samisoni had been doing. People like Davies and Crosbie Walsh spoke out against such injustices, and were unfairly castigated. If lai and mahen have seen the light, they can reunite the nation. That’s the bottom line now. that’s what should really matter. I acknowledge,applaud and appreciate all your comments,its the sort of issues that we wish all our people back home take time to sit down,do some brainstorming sessions,even go back to our various religious beliefs to try and seek and search answers and hopefully bring about positive energy and vibrancy to the lasting solutions we are searching for.Since the situation is still a very volatile one I guess the army is still more slanted towards the side of caution. Again a former senior military officer ( and a very well spoken one when he was military spokesman may I add ) told me that the military just do not trust civilians because of their tendency to drag the law to its very edge and they have seen it all before and more so during the SDL days when as we know LQ and them were just playing around with all the laws.Therein lies the military’s distrust of everything civilian and especially politicians.So may be the time is right now for capable leaders to spring up from all sides of the political spectrum and realise that no one is indispensable and lets just move to middle ground and move forward. It is my hope that the time is not long before i taukei and every other race in Fiji forge long lasting and enduring partnerships in every facet of life and especially in commercial and economic activities.I can only only count 3 on the number of successful or longer lasting commercial ventures between the two major races:1.Waqavuka Investments ( between Motibhai and Saunaka villagers,Nadi ) 2.Tokatoka Ramada Hotel ( between Hexagon and Sabeto landowners ),3.Yatulau Sundartex ( Yatu Lau and Sundarjee ) and of course the Fiji Sun ownership between FHL and Vinod Patel and CJPatel. I think most of us were so opposed to the coup and I for one was so emotional when it happened.Earlier on I had bought and read a book ” Beyond Reason,Using Emotions as a tool to negotiation ” by Shapiro,Harvard University.I had given the book to the GCC subcommittee which was appointed to negotiate with the army in the days leading up to the coup and the call by the NZ government for LQ and FB to come over to Wellington as a last minute attempt to try and avert the coup was one such technique mentioned in the book.Unfortunately that book got lost but having read it I was one of those with the glimmer of hope that there would be no coup.But as the world know and as mentioned by Wanna Be Journalist it happened.I guess and thats what Graham and co are trying to encourage is for ALL people in Fiji to make positives out of all the negatives. I know that these are so hard given the very tough economic conditions prevailing,high costs,high inflation,weak dollar,high unemployment adverse social conditions that the major priority now is day to day living. Thanks for all comments. Its enlightening indeed and almost convince me to go back to university and do study in politics. Some comments are as good as a phd thesis in politics. However, I am new to this site and I humbly wish to add a few comments. Politics in Fiji is very complicated in deed due the composition of different natures of our citizens, religions and beliefs. Imagine trying to bring Fijians, Indians, Chinese, English etc Christians, Hindus, Muslims, Buddhists etc, Blacks, Whites etc, Melanesian, Micronesian and Polynesians, educated and uneducated etc together into a common cause and belief???? What a mammoth task it would indeed be????. I am not saying it is impossible but this is my message. I love and care for this nation badly especially the care to build a better Fiji for our children and future generations. My dream and vision to leave behind in Fiji a lasting legacy for our children and future generations to enjoy her benefits, safety and holistic prosperity never leaves me. I even prayed earnestly for this. Unfortunately, I am not in the position to make this happen. However, this can only be done through our collective and selfless efforts especially by our current leaders (vanua, religions, politics, govt, businesses, orgarnisation, institutions, schools etc) when we talk, create and build our current and future politics by abiding with the principles of vision, passion, truth, love, care, fairness, honesty, forgiveness, humility, guts, sharing and giving, listening and understanding, righteousness etc. On the other hand, if we can only eliminate the politics of race, pride, hated, corruption, greediness, selfishness, power hungry, lies, immorality, short sightedness etc in Fiji politics permanently, then I can be assured we are going the right direction. I can foresee a new and better Fiji for us all. We are all educated and smart academically may be but we do not have the spirit, wisdom and character of our Lord God, who delivered us from the dark ages of cannibalism years ago to lead the nation, vanua, religions, schools, businesses, govt, institutions etc especially, we can be lost within our own naive and blindness. Perhaps, our proposed new Constitution should incorporate a thought guided on politics of right values and principles in Fiji to be promoted and practiced, not our ancient dirty politics we are well known for. Personally, I am truly tired of all these dirty and selfish politics. Col Aziz, COS of the Fiji MIlitary said in his address at one school in Navua during the school military pass out out this year said “We need new leaders with clean heart, vision etc to build and lead our new Fiji” I salute that statement from such a leader and take a cue from it. Our new constitution must compel us to eliminate some things we have been keeping and using that only promote self, biasness politics but not national interest. I must commend our current national leadership esp our PM who seem to have and practiced some of the values and principles cited above. We want leaders of his calibre in the vanua, religions, politics etc to lead us to the future. I hope my comments can offer some hope for the future for us. Thanks. Chaudhary and Qarase have only one thing in their minds now, REVENGE. To hell with the fijians and democracy. You know the regime is running scared when the 2 Palagi pro-dictator bloggers are working together on the same story. 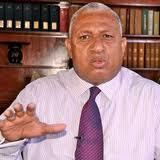 Here we have a classic case of Bainimarama getting concerned that his Lowy poll results do not look so good now that Qarase and Chaudhry are looking to work together to remove his dictatorship. Between the 2 of them at the 2006 elections over 70% of the Fiji electorate voted for them. Now these 2 leaders are looking at combining that support to make sure Bainimarama falls at the polls. He should be scared. What will happen now censorship is gone and the electorate learns about the failures of the dictator and his Junta. 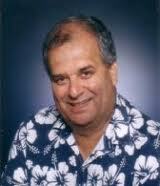 That lead in the Lowy poll will disappear faster than a $100 in Nur Bano Ali’s brassiere. It is no coincidence that the 2 Palagi coup apologists wrote essentially the same story in the same week. Both had spoken to Smith Johns of the Ministry of Misinformation and she gave them the direction they needed to take. What dirty tricks will the Junta use to remove Chaudhry and Qarase from the ‘Free and Fair’ elections. Both these guys have cases pending in court and will be dealt with before 2014. (EDS. Comment edited because it is arguably in contempt of current court proceedings ) Sayonara. Graham,I just want to say please do not take things personally in my blogs,I admire people like you,Vinny and Wanna Be Journalist and Joseph and especially you for your passion on writing on events in Fiji and the region.Those of us who have left Fiji will just have to continue working with our links in attempts to bring out a better more prosperous and as you said more inclusive Fiji.Before I left Fiji I met one of my former high school teachers who is from Viwa Island and I ask him ” Do you think the time is ripe now to form another political party?Given the failures of SDL and past Fijian parties? ” He said yes but before we do that its best we sit down and do a lot more talks,brain storming etc etc he said ” meda veitalanoa mada vaka vinaka “And exactly what we have talked about in these blogs and more that we need to bring out in the open,talk man to man on the table etc. For you Vinny and Wanna be journalist,Indo Fijians have made a massive contribution to Fiji without which Fiji would not be in a position today to enjoy being the premier island nation in the region.I admire your spirit of sharing,little things like roti and curry at the workplace,I miss those duruka curry and more so my favourite okra and baigani mixed together.I always looked forward to Diwali when my neighbour and my family always get together for our bi annual meetings.Theres so much that we i taukei learn,need to learn and keep learning from you.its important we keep talking about these issues and use the damaging politics that has so often defined our past to leverage us into the future in seeking what needs to be righted again. Gosh Wilson, thank god I waited for a while for you to cool down a bit and let off steam. All the writeups about Indians was just getting on my nerves but I decided to just wait..and believe me I can write with intensity on facts as well. I think our ultimate goal for Fiji is the same and whether we need to discuss past issues based on the South African model of “truth commission” is going to get us anywhere or not can be a subject matter later on….cool down brother. I am an Indo Fijian as well. Speaking about the South African truth commission I have just finished reading about fatherless children but right at the end the author mentioned South Africa’s truth and reconciliation commission there and it was about another book called ” Country of my Skull ” by Antjie Krog.When Desmond Tutu was asked what sort of person should be considered for a position on the commission.He responded by saying that the commission should be comprised of victims ,of people whose lives had been ripped open by the horrors of oppression.But not arrogant victims he stated ,not people looking for vengeance.Instead Tutu said,these should be people who have authority of awful experiences,experiences that educated them toward empathy and yet have within themselves hearts willing to forgive.he clarified that this could be only accomplished through a deeply buttressed spiritual life.These people would be WOUNDED HEALERS. So after all these years Terrior RC the problems and calamities in Fiji have left a lot of people wounded I might say you and me included.But let it be our prayer that you,me and everybody who think likewise do rise in dignity and consider this as our dignified calling to help out. Namaste,Dhanbad and Ni sa moce. choose the right choice on your list. Do I have a much higher risk. During the interview when ready. Living in the concerned insurer will pay in cash. in the area to be executed, before your roofing contractor.